Laikipia District is a vast 8000 sq km plateau, one of 71 districts of Kenya located on the Equator. It stretches from the Great Rift Valley to the magnificent escarpments which descend into the Northern Frontier District. 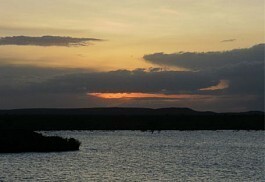 Laikipia National Park, north west of Mount Kenya, has all the wildlife but none of the crowds found in the Masai Mara. 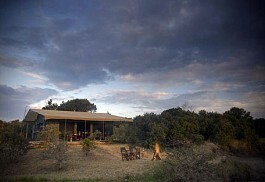 Some of the country’s very best eco-lodges are located on this rolling plateau of savannah, seasonal streams and bush. The Laikipia plains are covered by open grasslands, basalt hills, lonely kopjes and dense cedar forests fed by the Ewaso Nyiro and Ewaso Narok rivers. 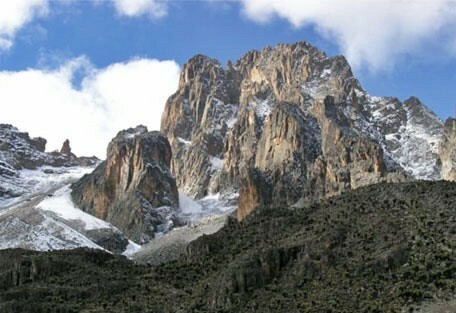 This spectacular region is often considered the gateway to Kenya's wild Northern Frontier country. The Laikipia District is regarded as one of Africa’s most remarkable conservation success stories. Once an area with a high density of fenced cattle ranches and farms, it has been transformed, in co-operation with the owners into an area of beautiful wilderness. Here, protected game roams freely and safely. 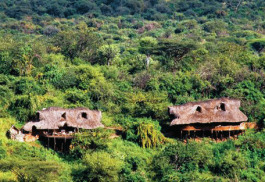 Since the fences of the old cattle stations were removed, Laikipia's unique eco-system, large wildlife population, and endangered species attracted the formation of some of the best luxury lodges in Kenya. Laikipia has established itself into a very wild but exclusive safari destination. Roads are few and far between, and public transport is limited, but guests get to traverse the area on foot, horse or camel, offering an original take on a safari. Laikipia has become a focus for many conservation efforts, and some ranches have become breeding sanctuaries for endangered species. 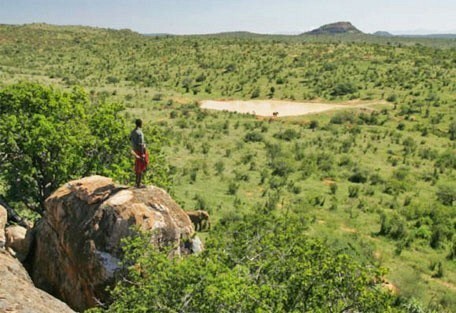 Despite Laikipia's unique biodiversity, it is remarkably not a protected area. 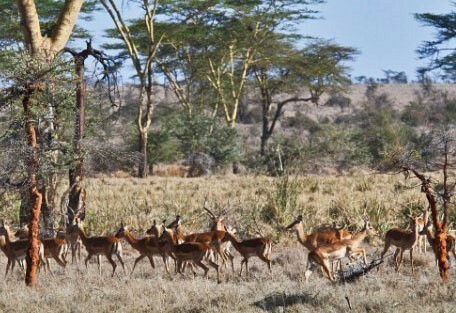 Laikipia's wildlife is entirely sustained by private and communal landowners. Sabuk Lodge offers a peaceful location in the spectacular wilderness of Northern Laikipia on the high banks of Ewaso Nyiro River overlooking the Laikipia Plateau and Samburu land. The lodge welcomes families, couples and small groups traveling together. The Sanctuary is an exclusive lodge offering breathtaking views of the craggy peaks of Mount Kenya, the Samburu sacred mountain Ol Olokwe, the Matthews Range and the Karisia Hills. 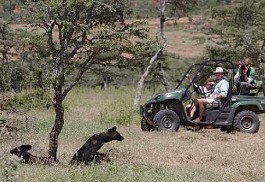 Guests enjoy a private house and safari vehicle as well as a personal Butler. Segera is the central wildlife sanctuary in Laikipia, situated in the wooded savannah and grasslands of the Laikipia Plateau in Kenya at an altitude of 1 700 – 1 800 m and immediately north of the equator. 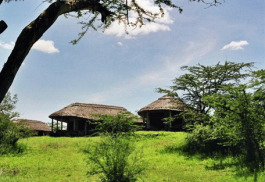 Lew House is located in the very heart of the Lewa Wildlife Conservancy. 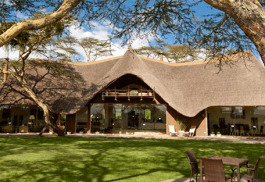 The lodge is set on top of a hill with extensive views of Mount Kenya, Mathew’s Range and the Ol Lolokwe Mountian. 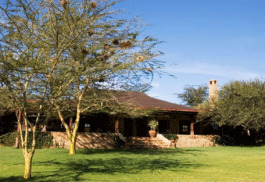 Lewa Wilderness Lodge is the original family home of the Craig's and is still home to Will and Emma Craig, who host guests with their team of Professional Guides. 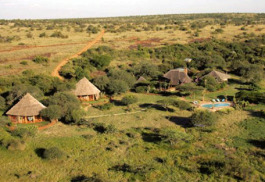 Lewa Sirikoi Lodge is a high quality tented camp set in a shady acacia tortilis grove overlooking a waterhole. 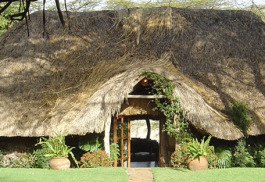 The camp is owned and usually hosted by locals Willie and Sue Roberts and their mainly Maasai staff. This modern colonial-style facility comprises a comfortable main building, swimming pool and six separate cottages. It is suitable for private groups of 6 to 12 guests. Situated on the 25000 hectare private Loisaba Ranch, this exclusive Cottage has its own staff and is entirely self contained. Located only 30 mins away from the main lodge, all facilities are accessible if guests desire. Perfect for adventurous families. The luxury camp has 6 tents with an infinity pool for guests to cool off. Game drives and walks are the mainstay, with activities included such as forest hikes and community interaction. 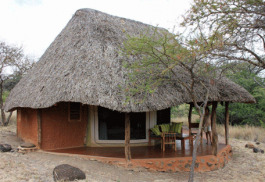 Sasaab Lodge is located in an area which is home to the Samburu tribe, family of the Maasai tribe. 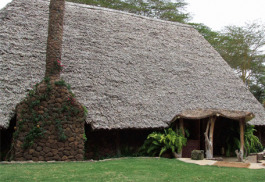 The lodge offers day and night game drives, cultural visits to the Samburu tribe village, camel rides, fly camping and more. Ol Malo is a privately-owned game sanctuary on the banks of the Uaso Nyiro River in Kenya's wild and beautiful eastern Laikipia district. Although Ol Malo House is an annexe to the main Ol Malo Lodge close by, it is comparable in size and facilities. Ol Malo is a beautiful lodge set in the heart of the Laikipia Plateau, which runs from the foothills of Mt Kenya to the edge of the Great Rift Valley. 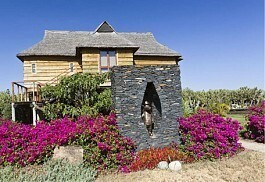 The main lodge has breathtaking views and has four private, ensuite cottages. 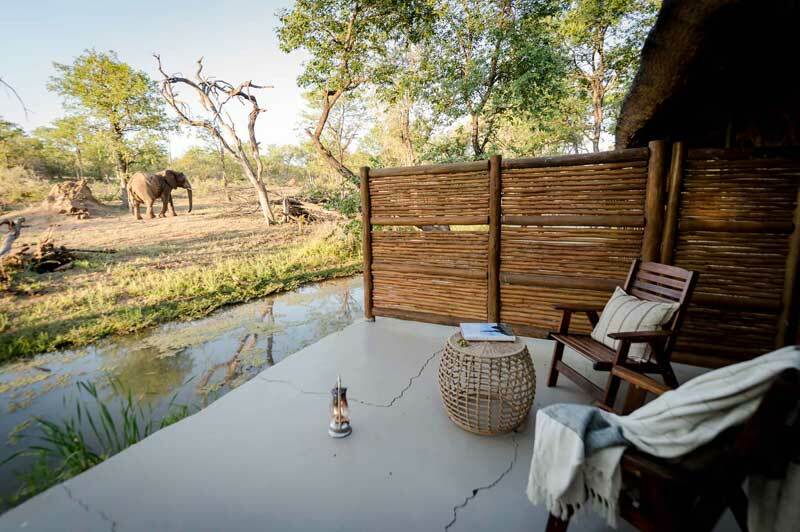 The modern and exciting lodge is located on the Solio Game Reserve, home to the endangered black and white rhino who live alongside other African wildlife such as leopard, lion and a wide variety of birds. Ekorian’s Mugie Camp in Kenya is opening on December 20th, 2012. Named after Olive Tree in the Turkana language, it is located on the Mugie Sanctuary near Mugie Dam at the northern end of the Laikipia Plateau near Mount Kenya. Porini Rhino Camp is situated in the private Ol Pejeta Conservancy, a conservation area that is firmly focused on protecting the local environment. 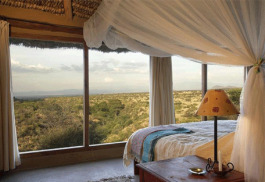 A tented safari camp set at the bottom of the Laikipia Plateau in the foothills of the Aberdares and Mount Kenya. The camp has magnificent views of the snow-capped Mt Kenya as its backdrop, that guests can enjoy and an unforgettable combination of scenery, hospitality and a plethora of some of Kenya’s most prized wildlife. Kitich Camp is situated in a remote valley, overlooking a river glade and surrounded by an indigenous forest. 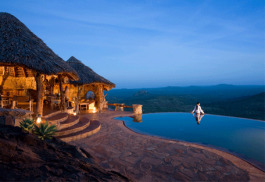 Guests may enjoy game-tracking, hiking to the natural rock pools for a dip and learning more about the Samburu culture. 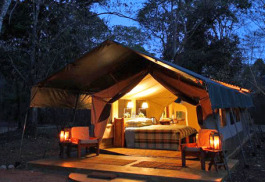 Sweetwaters Tented Camp has 50 tents and is managed by the Serena chain. 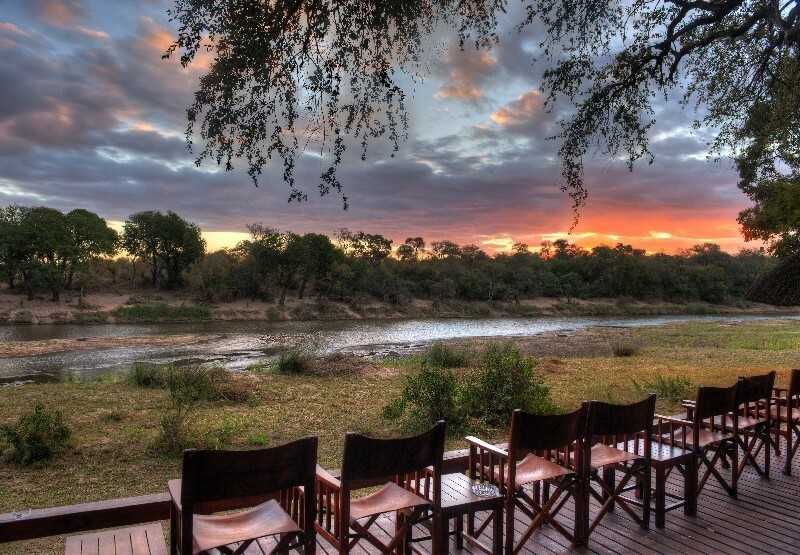 The camp is set in riverine forest around a floodlit waterhole where the 'Big Five' can often been seen drinking water on a hot summers day. Mukutan Retreat Lodge is situated on the Laikipia Plateau on Ol ari Nyiro, a biodiversity hot spot and is an exclusive hideaway for discriminate travellers, in simple yet extremely sophisticated comfort. 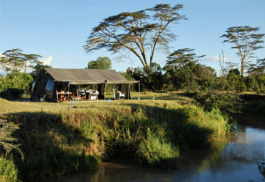 Ol Pejeta Bush Camp is a traditional, comfortable bush camp set on the banks of the Ewaso Nyiro River in Kenya. 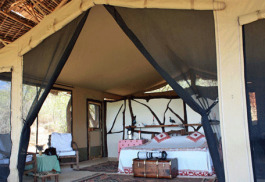 The camp has 6 tents which can cater for 12 guests and 1 family room to cater for families. Tassia Lodge is set in a stunning wilderness area, situated on the 60,000 acre Lekurruki Community Ranch. 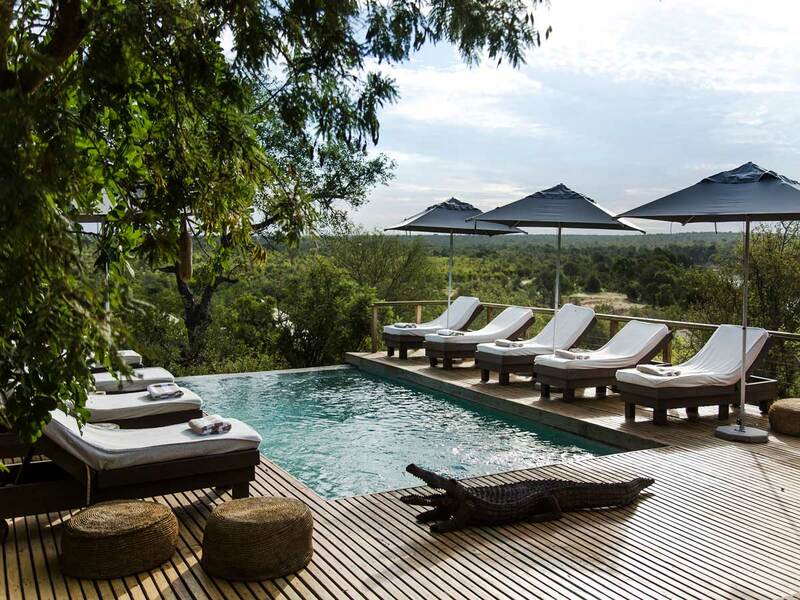 The lodge is perched on the edge of the Mokogodo Forest escarpment with spectacular views of the northern rangelands and the sacred Lolokwe Mountain. 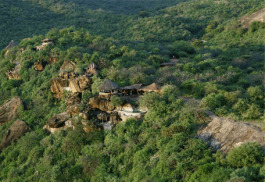 The award winning Eco-Lodge was built in 1996 in an area set aside purely for Wildlife conservation. 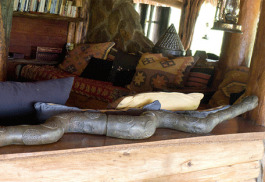 The interior of the lodge is made out of local materials and is well known for its spectacular "open to the bush" design with beautiful views of Kenya. Enasoit Plains Camp is a part of the far reaching Laikipia conservation project, in which ranches and communities work together to preserve essential wildlife corridors. 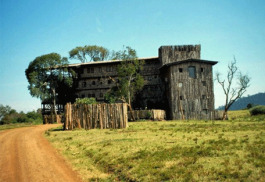 El Karama Lodge primarily serves as the home base for a horseback safari operation. 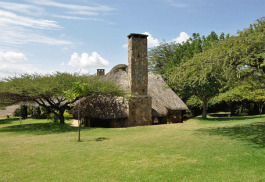 The lodge is a model safari destination for those seeking seclusion and to discover the freedom and beauty of Laikipia. 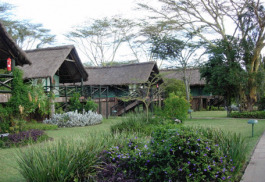 Perfectly located within the Aberdare National Park, lies the renowned Treetops Lodge. 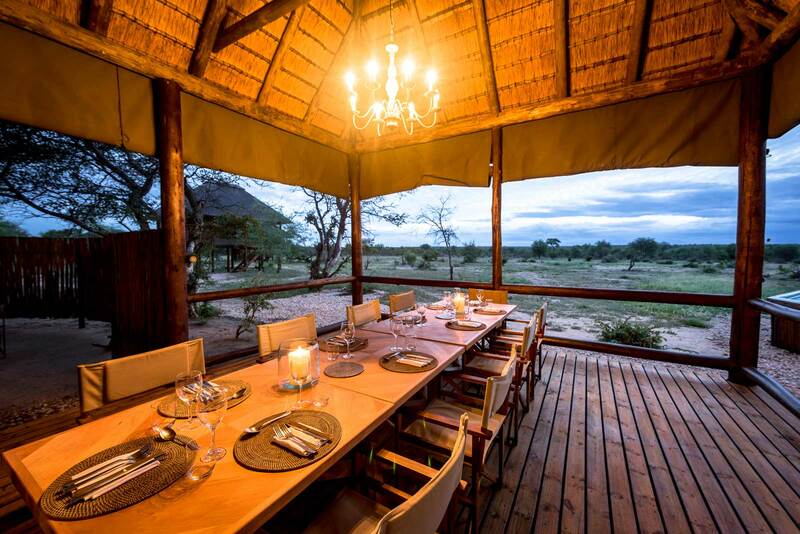 The lodge sits on a migration route for wildlife and overlooks a waterhole and salt lick, attracting numerous wildlife including elephant, rhino and buffalo. Laikipia forms part of the Ewaso ecosystem, which is larger than all of Kenya's protected areas except Tsavo. This ecosystem is home to the second largest population of elephant in Kenya. Laikipia is the one district that continues to record increasing wildlife populations. 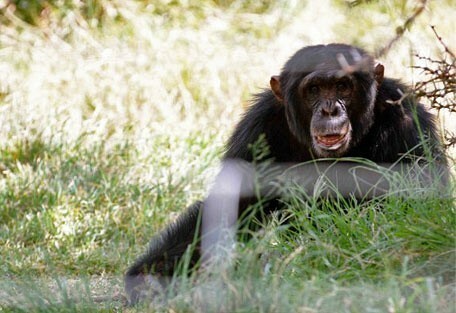 It hosts the highest populations of endangered species in the country. 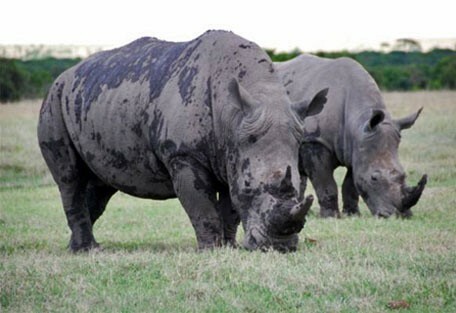 It has 8 rhino sanctuaries, which together hold more than half of Kenya's black rhino population. Laikipia is also a safe haven for endangered Grevy's zebra, reticulated giraffe and the only viable population of Lelwel hartebeest in Kenya. 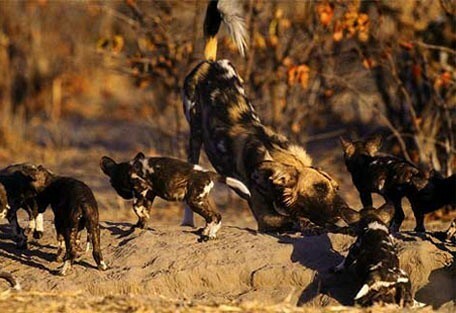 Predators such as lion, leopard, cheetah, and a large population of wild dog roam this large area. The Laikipia region is ranked second to the internationally renowned Masai Mara ecosystem, but sees a fraction of the tourists. There are no structured roads and most of the game activities are conducted without the use of vehicles, offering an entirely different perspective. Sabuk Lodge is a small lodge consisting of 9 rooms in a spectacular clifftop location offering an intimate and original experience. The lodge serves gourmet cuisine and deep, stone bath tubs for relaxation with a view. 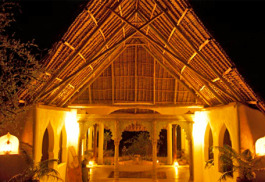 Sanctuary at Ol Lentille is located in a private conservancy within the Naibunga Conservancy. 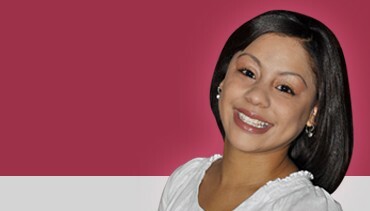 This is a boutique destination that offers a very private service. 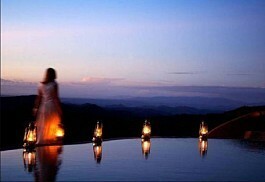 Guests enjoy their own private house and safari vehicle as well as a personal butler, valet and Maasai guide. 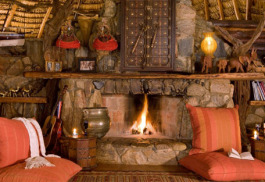 Sosian Ranch is a beautifully restored colonial style African ranch built in the 1940s. 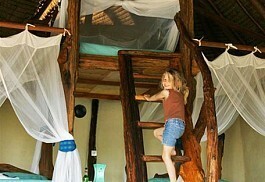 It has 7 cottages in the tropical garden overlooking Mount Kenya and miles of unspoiled African bush. Some favourite activities include jumping off the waterfall, riding lessons and short treks on the trained horses, camel rides, fishing and archery. 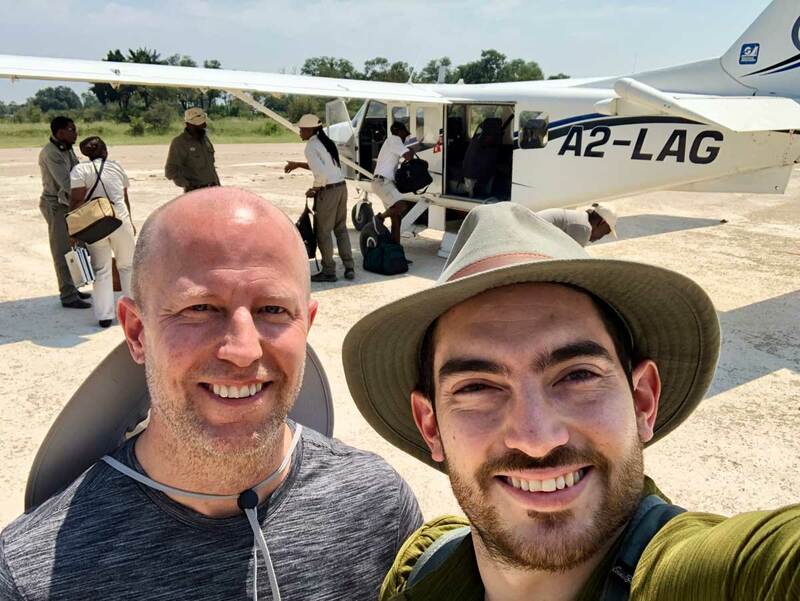 Guests visiting a lodge within the Laikipia Plateau National Park will take a scheduled flight from Nairobi to a local airstrip, followed by a road transfer to the lodge.